GreenEco Builders NEW HOME! UNDER CONSTRUCTION FEATURES a Tankless Hot Water Heater. 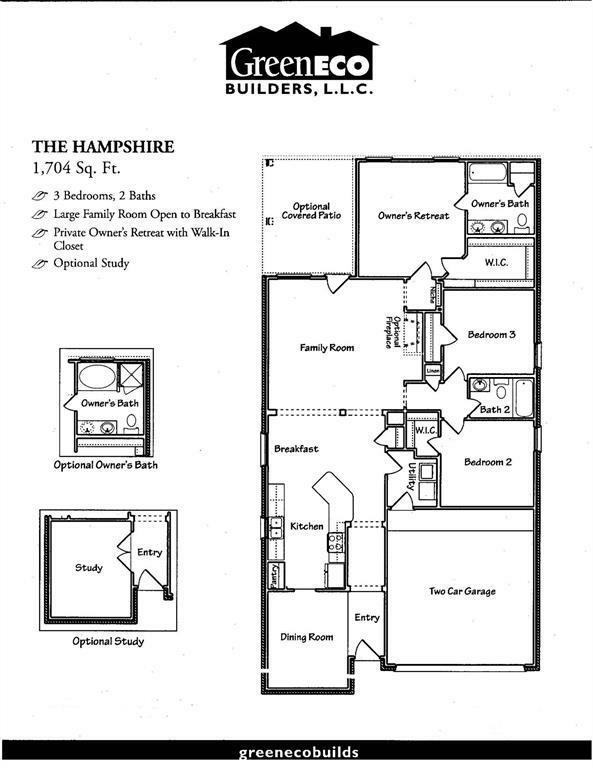 The Hampshire Plan,1704 sqft Elevation B. 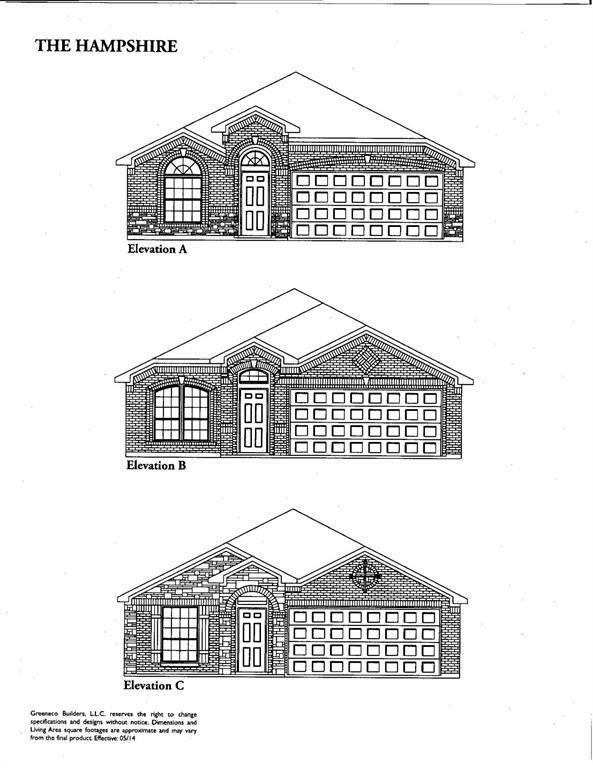 3 bedrooms-2 bath, with dining room. Kitchen has 42 inch cabinets, Granite Countertops, Stainless Steel Appliances and Tile Backsplash. Luxury Vinyl Plank Floors Entry, Kitchen/Breakfast, Family and Wet Areas. Covered Patio. 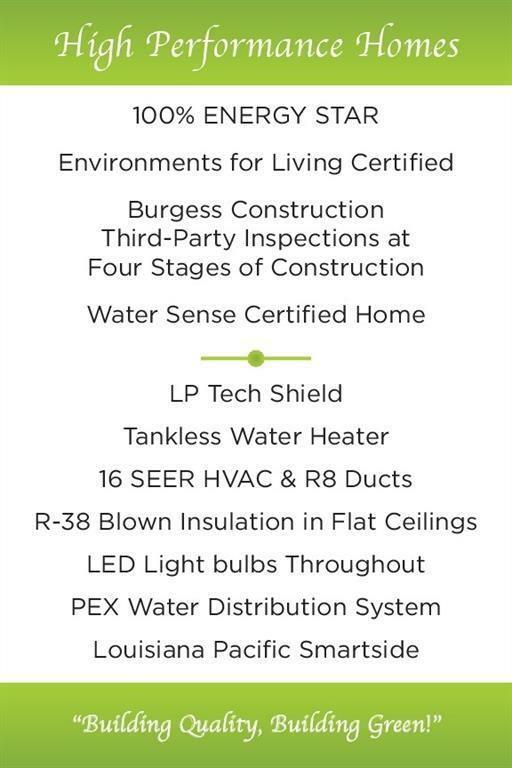 HomePro Standard Package. GreenEco has 16 seer HVAC. 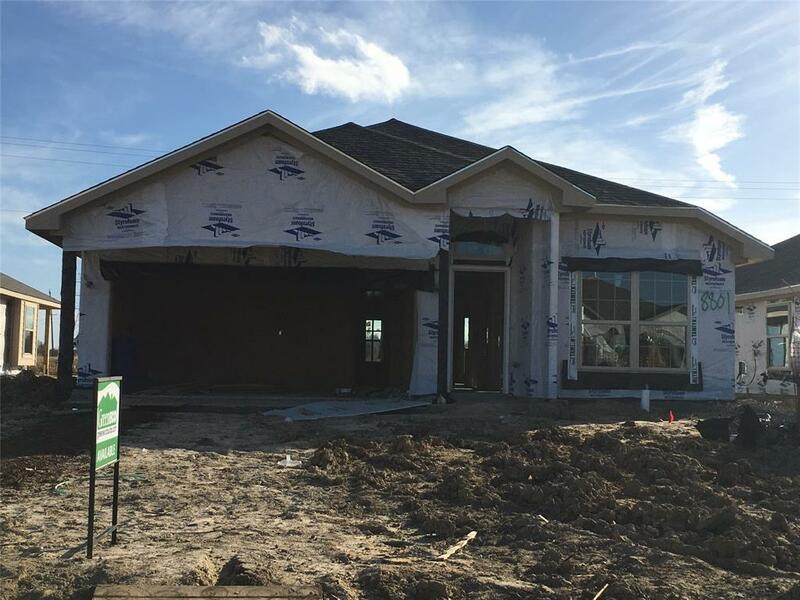 **Per builder-also zoned to McAdams Junior High. School zones should always be confirmed by buyer, no schools are guaranteed by brokerage. Verify estimated room dimensions, programs, HOA info & all features with on-site sales as details are subject to change.